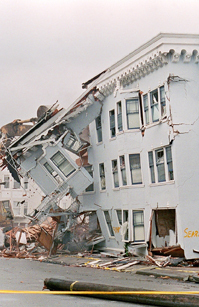 Is the U.S. ready for a seismic catastrophe? The earthquakes that ravaged Haiti and Chile this year raised compelling questions about the ability of the United States to cope with a seismic catastrophe of its own. Thirty-nine states, from Alaska and California to the Carolinas and New England, are considered susceptible to moderate or severe quakes, and the Midwest is widely viewed as among the most vulnerable regions. In California, the U.S. Geological Survey puts the probability of a magnitude 6.7 or larger quake within the next 30 years at more than 99 percent. Should a magnitude 6.5 quake hit Manhattan, which sits on ancient faults, damage could total well over $1 trillion. Officials say the United States is making progress at mitigating potential death and destruction from future earthquakes but has a long way to go. In developing countries, scores of cities — overcrowded, poorly built and many sitting on seismic faults — remain highly vulnerable.